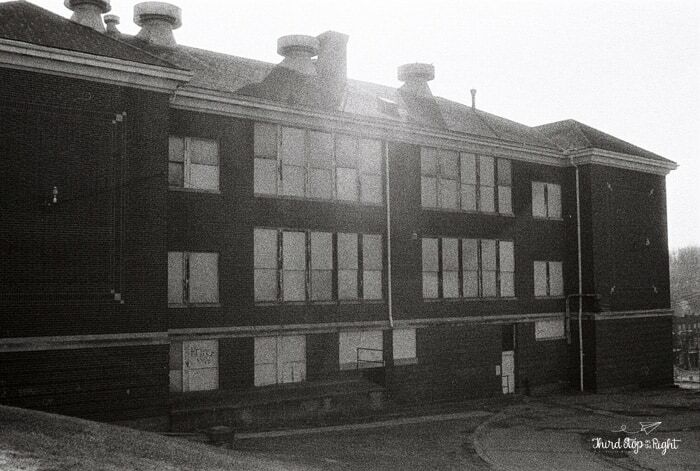 For over 100 years a school had stood at the site of the former West Pittsburgh Street Elementary School. The first school was a four-room brick building which was built in 1880. In fact, when Ludwick, East Greensburg, and Southeast Greensburg were merged into the borough in 1905 Ludwick was the only one with an adequate school. 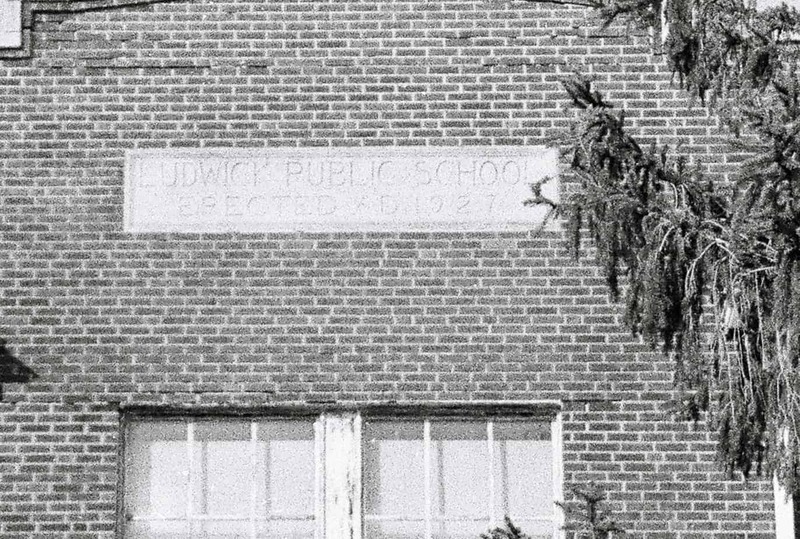 The year is 1923 and Greensburg’s need for additional classroom space was increasing in the Ludwick section of town and additional property was purchased at the Luckwick school site and construction started on a new elementary school. 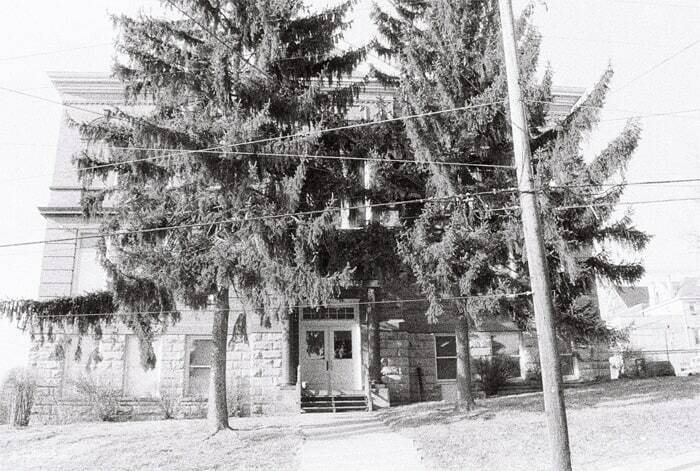 The school was completed four years later, in 1927, at a cost of $149,800 and had the capacity for 500 students. It was named West Pittsburgh Street School. I’m not sure when I really became aware of the West Pittsburgh Street School since I went to elementary school in neighboring Hempfield Area School District, but I believe it when when I was in early high school and just developing my love for history and photography. I would see the school standing beside the hospital and often wondered what it looked like close up. 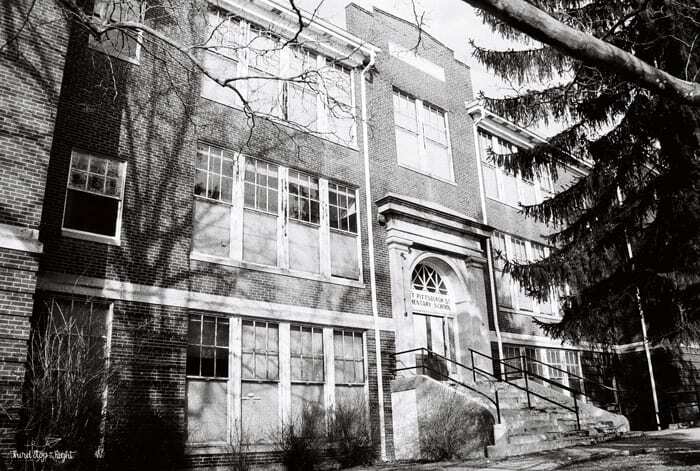 Sadly, like many of the historic relics in Greensburg, the school fell prey to decline and a changing population. Schools were merged and new schools were built. West Pittsburgh Street School closed in 1991 and sat vacant for years. 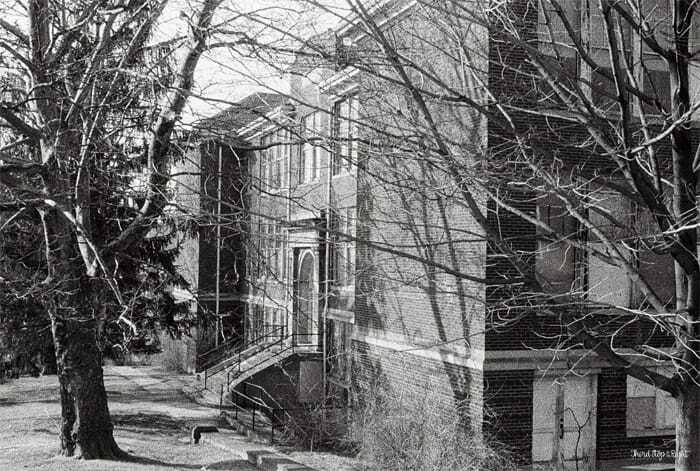 The school was eventually purchased by Westmoreland Hospital and torn down to make way for additional Emergency Room parking. Unfortunately, since the hospital was simply using the school for an eventual parking lot, they let it deteriorate further. Thankfully, I was able to capture some of these shots before the school was torn down in 2001. Apparently, some of the old school still lives on as a former educator at West Pittsburgh Street School who had since moved to Hutchinson Elementary requested that one of the old chalkboards be installed in the one-room schoolhouse on the Hutchinson Elementary property. In the meantime, West Pittsburgh Street Elementary School still lives on through pictures and in memories. 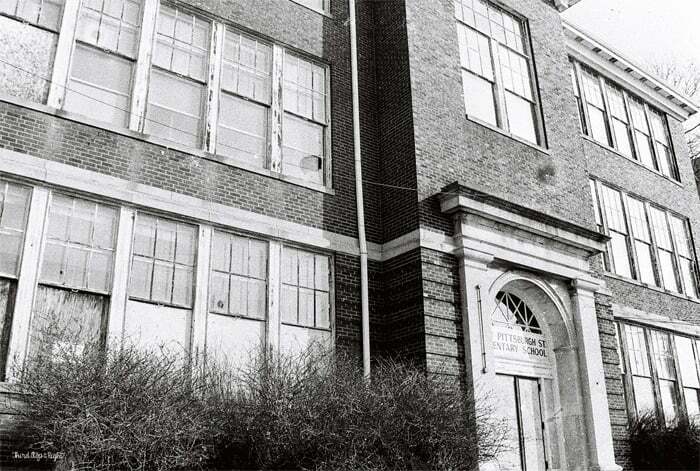 What are some of your memories of the West Pittsburgh Street Elementary School? « Do You Know the Muffler Man? We have one in Greensburg! That’s where I went to elementary school in the 50’s. My brother and I attended this school. Friendships made lasting til High School. So many memories on the playground, walking over to the Hospital where my grandmother worked, walking to school from Oakland Ave!!! lol The Principle at that time was a female with a paddle that scared the daylights out of me! Kept me out of trouble for sure. It was sad to see it turn into parking lot. I went there from kindergarten through grade 6, 1953-60, but I lost all my class pics for those years. If anyone was in my classes. (maiden name=Williams), I would love to be able to copy them. Trudy Miller sent me our 3rd grade, which I dearly appreciated. This clears up a lot of my confusion. 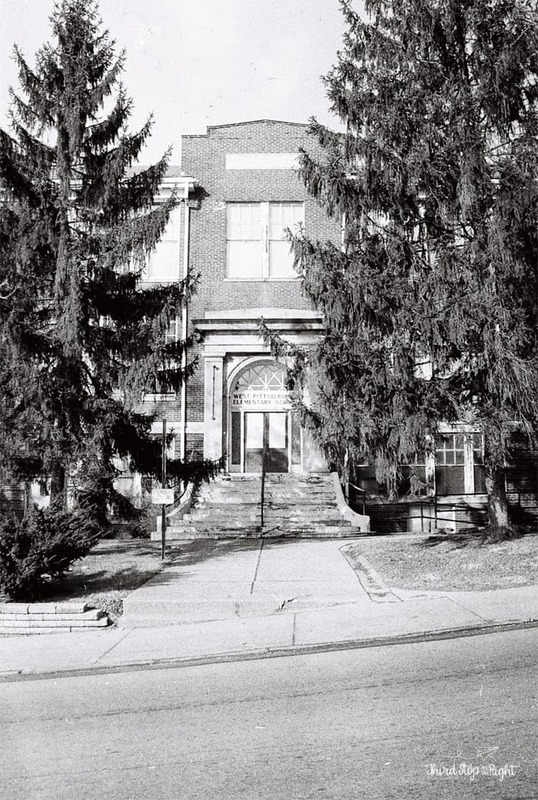 I’ve kept reading in the Greensburg – Then and Now about West Pittsburgh Street School, but wasn’t sure whether it was what I knew as Ludwick Elementary School. So glad to confirm that it is the same school. 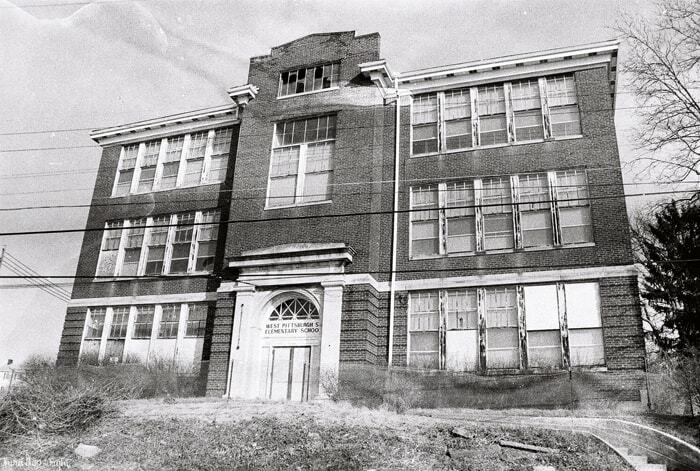 I was bussed there 1953-1954 when my beloved Second Ward/Academy Hill Elementary School was made into the Junior Hi. My sister also attended there at least one year (possibly 1955-1956 which she knows because our mother was in the hospital and wrote her notes about seeing her getting off the bus and into the school! I never knew there was a cafeteria. Certainly not the year I attended – we were bussed home for lunch and then back to the school! Also not real aware that could see from the hospital because we got off the bus and went in on the side street. MAYBE the entrance shown in one of the last pictures with a long pathway of curving steps up a hill? Anyways, thanks for all these memories. We left Greensburg late in 1958 and, because had no other family there, lost track of MANY things.